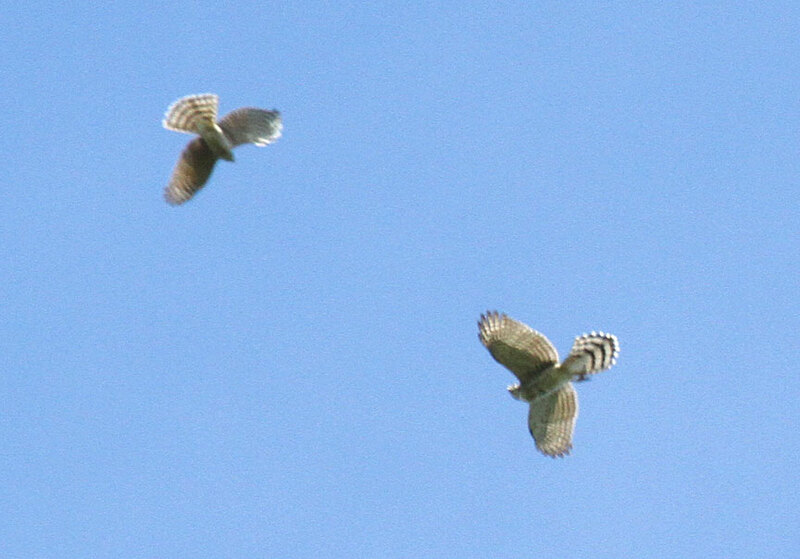 Hawk-watching isn't always action-packed although this day it was!! 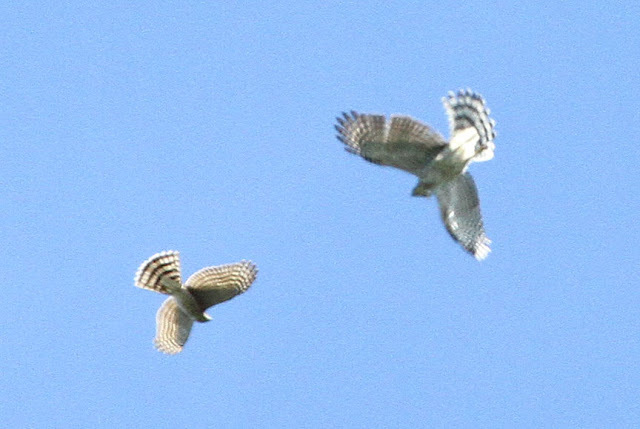 Usually when we see a small-sized hawk harassing a larger one, it's a sharp-shinned hawk. 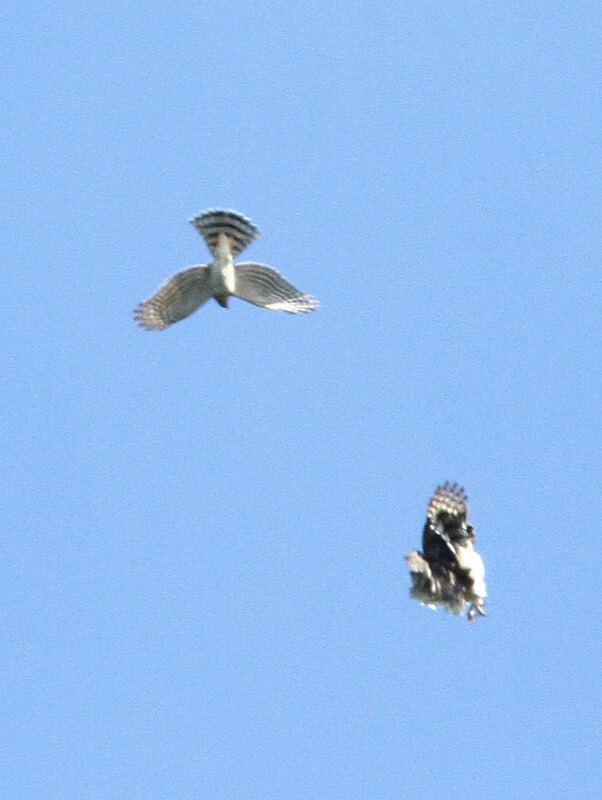 This day, one chose to harass a Cooper's hawk. 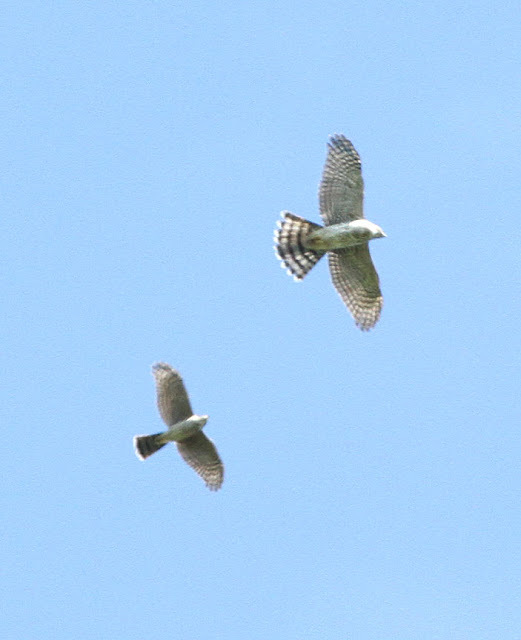 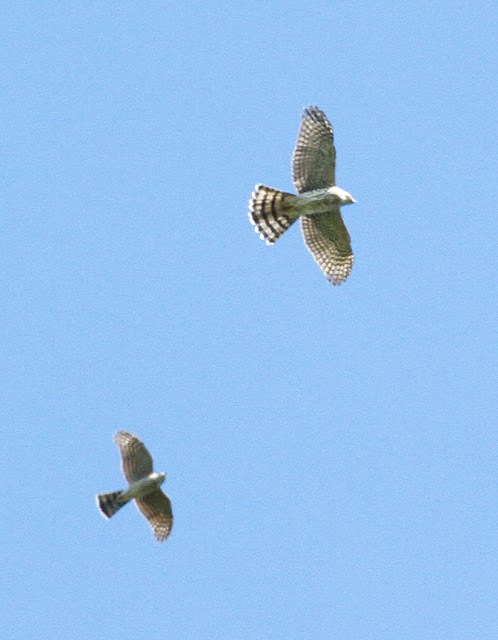 Both are accipiters; short-winged, long-tailed hawks built for agility and bursts of speed. 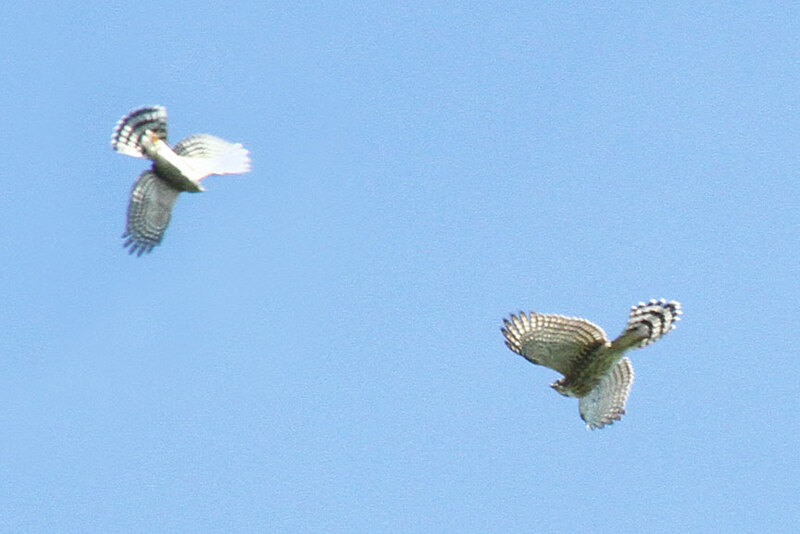 Luckily they flew right overhead and Gerry clicked away with his camera. 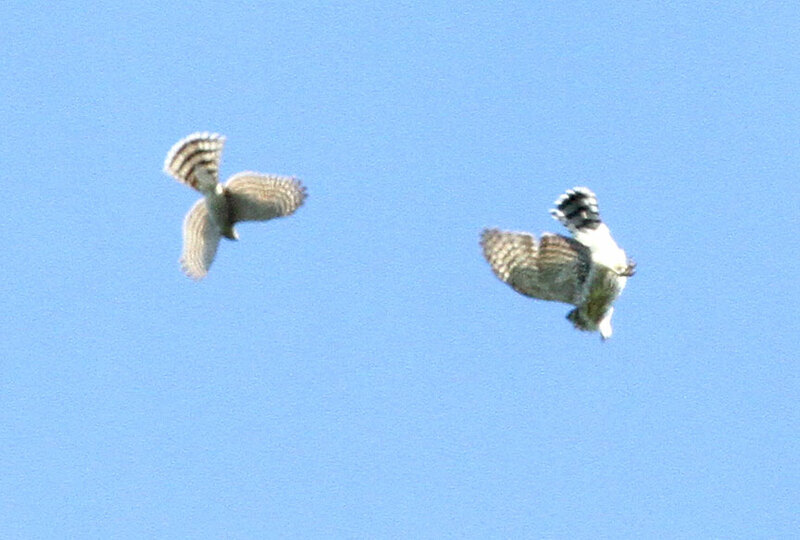 The Cooper's hawk is the larger of the two. 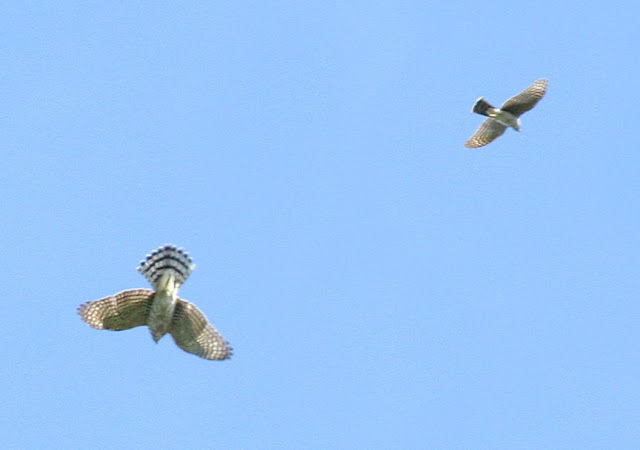 Seconds later, they both flew off unscathed.